Taking a swipe at the BJP over its defeat in the Chitrakoot bypoll in Madhya Pradesh, the Shiv Sena today said despite the ruling party's efforts, the country had not become Congress-free. 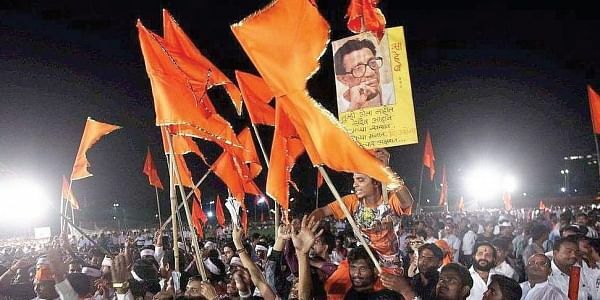 MUMBAI: Taking a swipe at the BJP over its defeat in the Chitrakoot bypoll in Madhya Pradesh, the Shiv Sena today said despite the ruling party's efforts, the country had not become Congress-free. The Congress had on Sunday retained the Chitrakoot Assembly constituency with its candidate winning the seat with an improved margin of over 14,000 votes. In an editorial in party mouthpiece 'Saamana', the Sena said it was not of the view that the BJP had lost too much with its decimation in the Chitrakoot bypoll. However, it added that it was scared thinking whether the losing spree of the Congress had come to an end. "First, the BJP lost the Gurdaspur Lok Sabha seat in Punjab. It then had to face a big loss in the Nanded municipal corporation polls (in Maharashtra). Chitrakoot is the BJP's third failure," it said. The Chitrakoot Assembly segment borders Uttar Pradesh and thus, the deputy chief minister of that state, Keshav Prasad Maurya, had also camped there for three days to campaign for the BJP in the bypoll, the NDA constituent noted. Madhya Pradesh Chief Minister Shivraj Singh Chouhan had made this a prestige battle and left no stone unturned to ensure that the saffron party won the bypoll. Yet, the BJP lost in Chitrakoot, the Uddhav Thackeray-led party said. "We are saddened by the BJP's loss," it added. "Despite the BJP's efforts in the last two-three years, the country has not become Congress-free. The Congress could not be defeated even in the Chitrakoot bypoll," the Sena said. Congress candidate Nilanshu Chaturvedi had defeated his nearest BJP rival, Shankar Dayal Tripathi, in the bypoll. The bypoll in the Assembly seat was necessitated, following the death of its Congress MLA, Prem Singh (65).